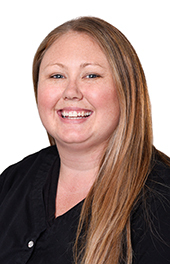 Shantell Dendauw is a dental hygienist at La Clinica’s East Medford Dental Clinic. She joined the organization in 2015. Shantell was a medical assistant for 10 years before she returned to school to study dental hygiene. She holds an associate degree in applied science from Carrington College in Portland. A native of Klamath Falls, she moved to Medford as a child and now lives in Medford with her own daughter. She enjoys camping, hiking, and taking advantage of the Rogue Valley’s outdoor activities. She loves photography and spending time with family and friends. Shantell had always wanted a career in community health and decided to apply at La Clinica.